The question of what exactly is techno has puzzled observers ever since 2 Unlimited bragged of their “techno, techno, techno, techno” back in 1993. Is it steely dance-floor burners? Creeping ambience? Or even the abstract expressionism of Warp-style IDM? The answer, according to Italian producer Marco Shuttle on his second album Systhema, is a little bit of all of this and more. This is an album that feels like a brilliantly sequenced mix, one that joins the dots between the various threads of techno, with each track picking up the drift of the last and bolting on a new ingredient. That Shuttle manages to keep this up over 54 engrossing minutes is tribute to his skill in creating a musical mood of nagging anxiety - not for nothing is his label called Eerie - as well as his open-mindedness to the boundaries of techno music. Take ‘Adrift’, eight minutes of desert ambience that opens Systhema. On the face of it, it sounds little like ‘The Vox Attitude’, ‘Sing Like a Bird' or the other abstract dance bangers that made Shuttle’s name, coming across like ambient music made on flesh and blood instruments while sleep-deprived and hallucinating on an ill-fated desert trip. But there is a precision in the song’s shimmering, droning sound, each tone finely calibrated to create maximum atmospheric effect, that speaks to the meticulousness of Shuttle’s best work. You can practically feel the sun on your neck and the sweat slowly trickle down your back as ‘Adrift’ creeps thirstily to its conclusion. This is the starting point for what we might, if it didn’t sound so consciously wanky, call “the journey” of Systhema. ’Thebe’, which follows, has a similarly arid, atmospheric base, thanks to the echoing rumble of live drums to which Shuttle adds the familiar voice of a synthesiser playing a detuned and thoroughly haunting melody, à la Aleksi Perälä’s Colundi Sequences. The stage is then set for ‘I Fail You Fall’ to introduce the juddering thump of a four four bass kick to the mix, allied to an unsettling synth wash, whose melody rises and falls like sand shifting across a beach. It’s techno, sure, but techno more suited to hiding in a cupboard under your favourite childhood blanket than going out and dancing. Track four, ’Eris’, ratchets up the tension even further by the simple yet effective trick of joining a synth melody straight out of Warp’s early 90s songbook to a relentless percussive effect that feels like being attacked by locusts, while ‘Con Sequenza’, the album centrepiece and highlight, uses the bleeps and acidic shivers of the same Warp era to construct a taut, steely techno titan that lives in the same panicky universe as ‘Adrift’ despite hugely different sonic ingredients. Having climaxed so spectacularly Shuttle then gently guides the listener down from the edge. ‘Venera 3’, which follows ‘Con Sequenza’, has the same four four pulse but feels sedated - calm, if not exactly at ease - with the echoey smudge of a distant 303 playing against a wistful synth melody that brings to mind Richie Hawtin’s F.U.S.E. album. ’Olga’, the penultimate track, drifts in and out on waves of circular melody, punctuated periodically by what sounds like the rasp of a passing sitar; and the brilliant ‘Ende’ closes proceedings in a beat-free, wonderfully evocative and hugely celestial manner, starry-eyed, twinkling and drifting in space. The effect of transformation is quietly astounding. In eight tracks Shuttle has steered the listener from the dusty heat of the desert to the freezing vacuum of space, an epic journey all the more remarkable for its imperceptibly smooth transition and consistency of mood. 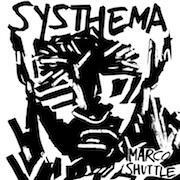 Systhema is a triumph of taut, finely tooled atmospherics and truly, all techno life is here.